I've been in love with muffins lately. A muffin and a cuppa coffee or tea and I'm good to go. Add a little chocolate to the mix and I think I've made it to heaven. It feels a little naughty having chocolate for breakfast but I think that's what makes it so fun! 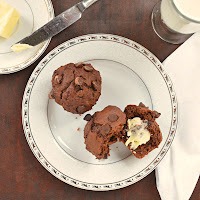 These muffins are chocolaty but have a light texture and the coffee helps intensify the chocolate flavor. These are defiantly a perfect Double Chocolate Muffin in my book! Melt butter in a small saucepan over low heat. Add 1/2 cup chocolate chips and stir until chocolate melts. Remove from heat and try to resist the urge to lick the spoon! Combine flour, cocoa powder, brown sugar, granulated sugar, baking powder, baking soda, and sea salt. 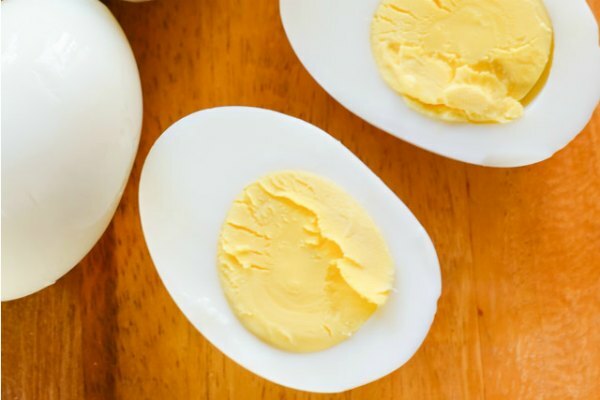 In a small bowl or measuring cup combine greek yogurt, eggs and vanilla. Whisk until combined. Add eggs, melted chocolate and hot coffee to flour mixture. Stir until combined. Fold in remaining 1/2 cup chocolate chips. Use paper liners or grease 12 standard sized muffin tins and fill 3/4 of the way full with batter. Sit back, grab a nice cuppa coffee or tea and enjoy your perfect Double Chocolate Bakery-Style Muffin. I won't tell if you send the kids out to play and save theirs for later! Preheat oven to 375 degrees. Line 12 standard sized muffin tin pan with liners or grease. In a large bowl combine flour, cocoa powder, both sugars, baking powder, baking soda and sea salt. In a small saucepan melt butter over low heat. Add 1/2 cup chocolate chips and stir until chocolate is melted. Remove from heat. In a small bowl combine greek yogurt, egg and vanilla. Fill lined or greased muffin tins 3/4 of the way full and bake for 20 minutes or until a toothpick inserted into the center of the muffins comes out clean. 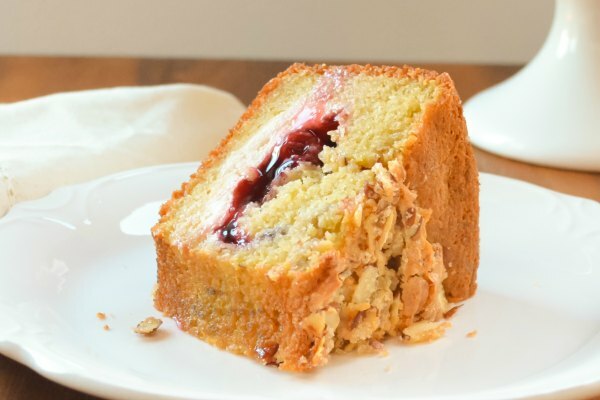 Enjoy plain, with butter or your favorite jam. Lovely muffins!! Yummy cream inside!! Oh my, these look delicious. I might have to go in the kitchen right now and make some. Your photos are beautiful. Wonderful post. 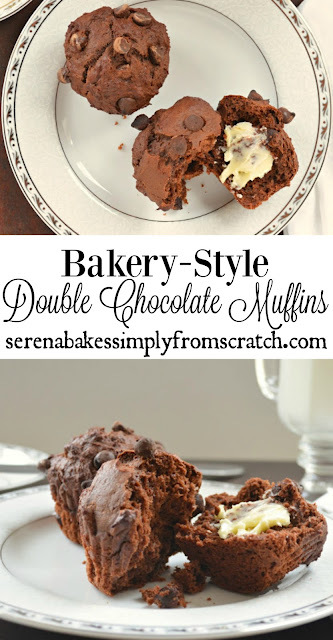 These are yummy muffins, double chocolate that is even best. 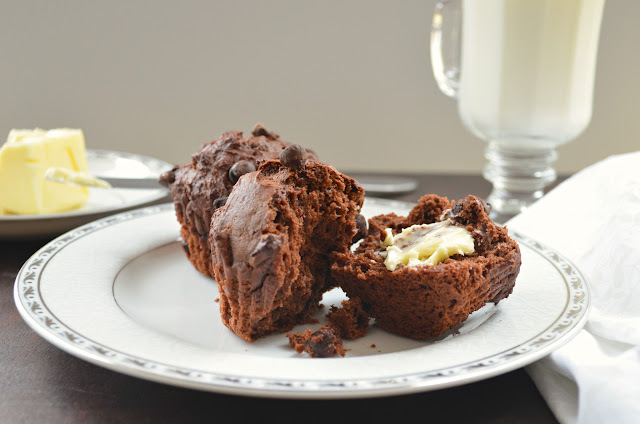 Holy chocolate muffin...I would love a batch of those for breakfast!!! I must stop visiting your blog :) I see way too many delicious things I want to make! My husband did a quick grocery store run Saturday morning for muffins and coffee and I wanted a chocolate one but they didn't have any...so now this post is reminding me I never got one. 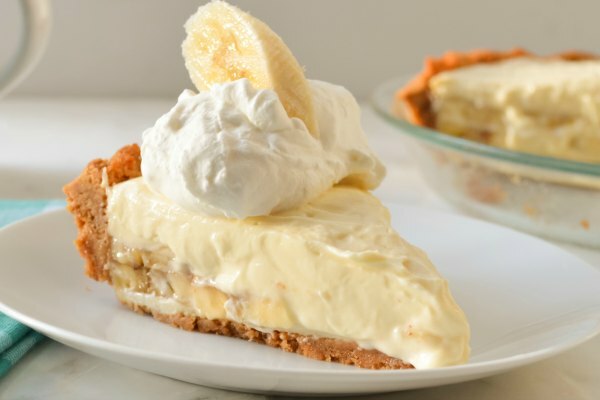 Must make this and fulfill my craving! Your muffins look so delicious!